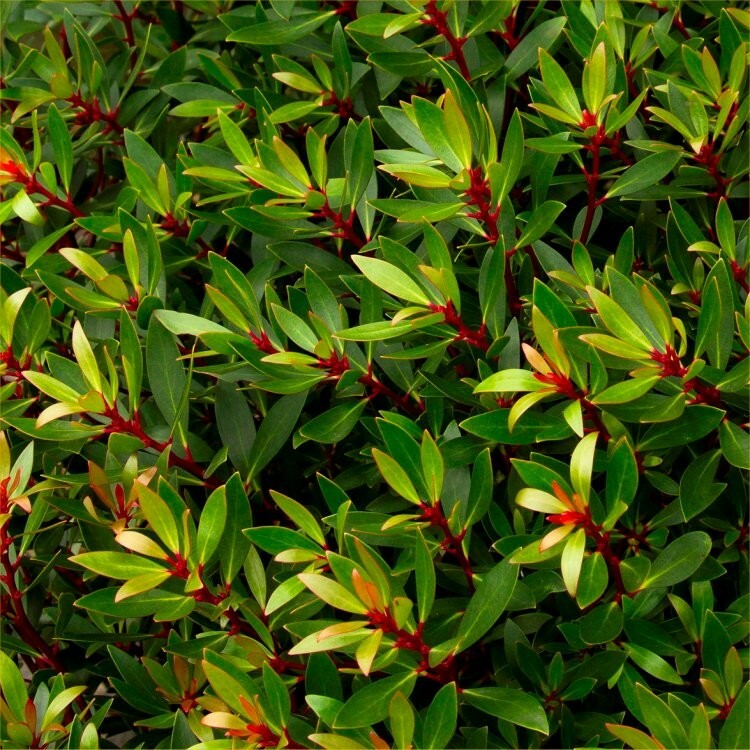 Drimys is a lovely compact shrubby hardy evergreen, a refined aristocrat amongst its garden peers, Drimys is easy to grow, and very tolerant of a wide range of situations, although it will do best in well drained soil. 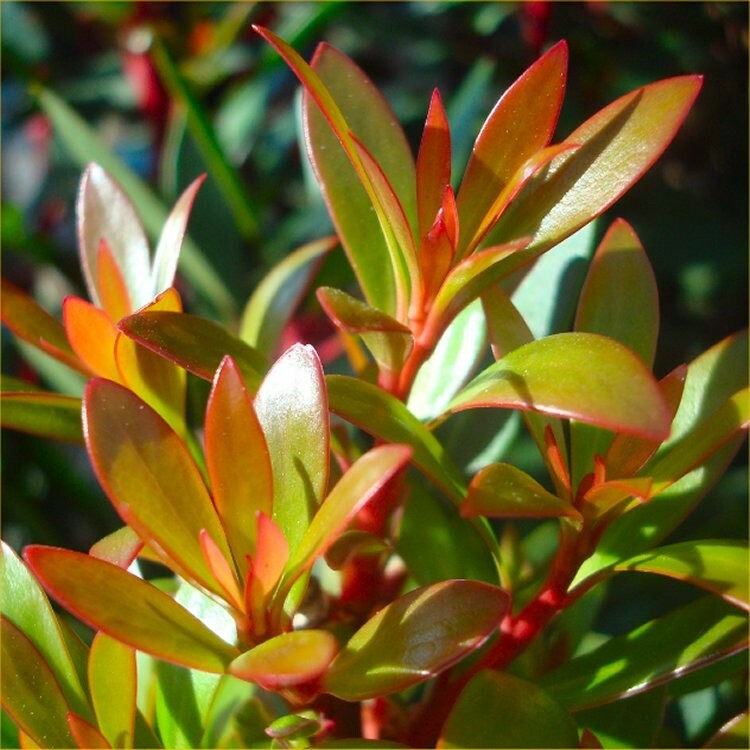 It forms a dense, upright evergreen shrub with attractive deep red stems and leathery, glossy, dark green leaves. 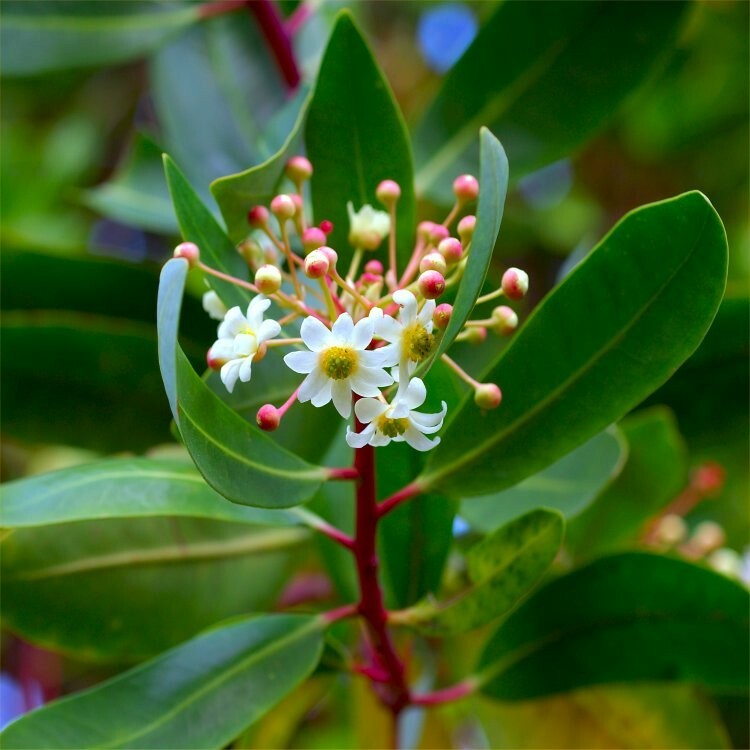 Native to the temperate rain forest of Tasmania, the plant produces clusters of cream coloured flowers with yellow stamens in spring, and these are followed by a crop of black berries. As an added bonus, this blossom has a perfume, and will only act to enhance the look of the foliage. The leaves and berries are used as a spice, typically dried. Supplied in approx 2 litre containers.